Registration is now open for the 2019-2020 School Educational Programs at Sutter’s Fort State Historic Park (SHP) – help us spread the word! Friends of Sutter’s Fort is proud to support these renowned educations programs, which are managed by California State Parks. Public, private, and home school groups are encouraged to participate. 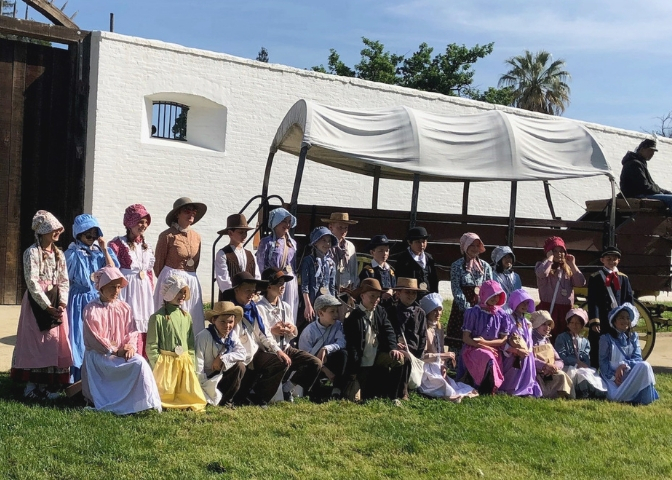 For over 40 years, ELP at Sutter’s Fort SHP has been providing students with an interactive 24-hour educational experience that brings history to life. ELP is an innovative program that empowers teachers to customize the overnight experience to meet the needs of their students. ELP is held most Tuesdays and Thursdays from November to early June. ESP is a fantastic daytime educational program. Students are provided many of the same hands-on experiences as ELP, however, this program is shorter than ELP and students do not spend the night at Sutter’s Fort SHP. ESP is held most Mondays from January through early June. Looking for other great educational opportunities at Sutter’s Fort SHP? Find out more information here!